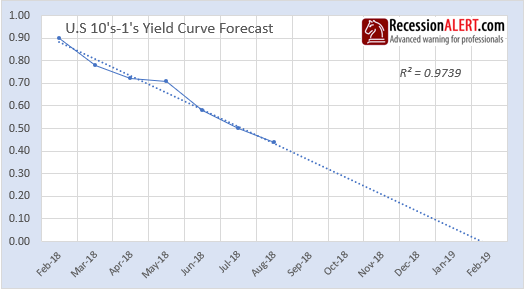 There is a lot of focus on the U.S. yield curve at the moment given its relentless move toward inversion (when short-term rates are higher than long-term rates). 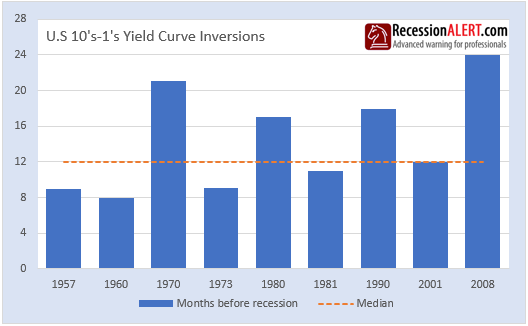 Can the history of the yield curve provide for useful forecasting as to the start dates of the next U.S recession? If one assumes the above narrative to be true, then it doesn’t matter how low the interest rate environment currently engineered by the FED is – when short-term rates are higher than long-term rates a credit crunch, stock market peak, and recession is inevitable. We note that it does not take a lot (as measured by cumulative inversion area below zero) to trigger a credit crunch and recession. We can also deem the area above zero as representing “excess liquidity” and quite clearly the area of the current credit-easing cycle dwarfs all those preceding it. Many believe that the larger the credit easing excess, the worse the subsequent recession, but this is untested by any research we have conducted or come across yet.